Make Room for Kids Billy Joel Ticket Giveaway WHAAAT! Is it weird I still remember every single word to We Didn’t Start the Fire? Shut up. Each year I try to have a nice giveaway to show you how much I appreciate the donations you give and have given to Make Room for Kids at the Mario Lemieux Foundation over the years. 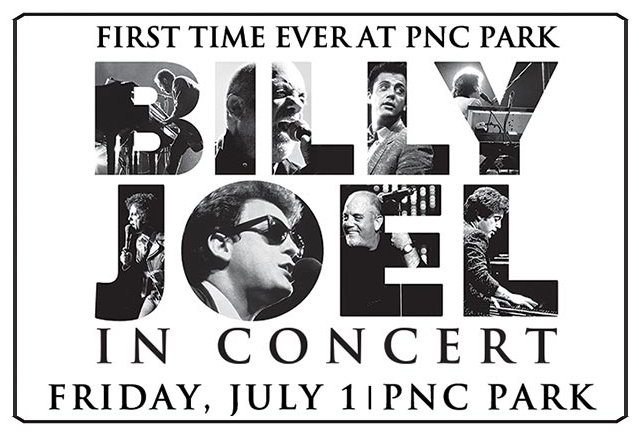 Thanks to a good friend, I have two tickets to the sold out Billy Joel concert at PNC Park to give away to a lucky winner! And not only that, the seats are AMAZING. 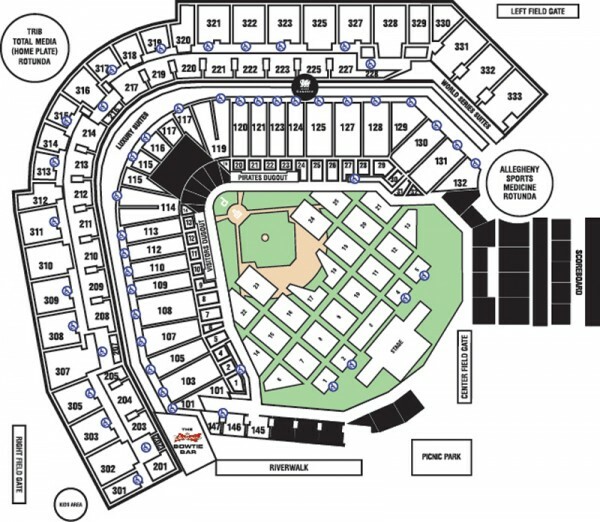 When: Friday, July 1, 2016 at 8:00 p.m.
Those are CRAZY GOOD SEATS. How to enter: Donate to Make Room for Kids and you’re automatically entered to win (if you’ve already donated, you’re in). Do you have to donate to win? No. That would be illegal. You can also leave a comment to this post to be entered, but maybe you can spare $5, $10 or $20 bucks so that we can bring in-room gaming to sick kids at Children’s Hospital of Pittsburgh? Click the Donate button under the thermometer in the sidebar to be taken to the PayPal page. Donations go directly to Mario Lemieux Foundation. You can read more about this year’s efforts here where I outline which units we are helping this year (cystic fibrosis, cardiac, colitis, Crohn’s, etc.). Also: I’ll pick a winner next Friday, February 26 at noon using Random.org to select the winning donation/comment. Tickets are on hand and will be mailed to the winner. 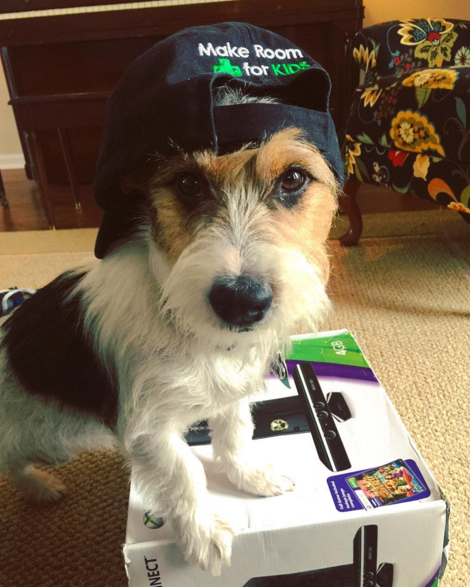 Milo would like to thank you in advance for your support of Make Room for Kids! Year Seven. Here we go. Growing up in a religious household (don’t stop reading, you jags; I’m going somewhere with this!) with a minister father meant lots of bible instruction, and one thing me and my four sisters learned quite often was about the number seven. DO YOU HEAR THAT BEN ROETHLISBERGER?! COMPLETION. NOT INTERCEPTION. Year. Seven. For Make Room for Kids. Do you remember how this started? This whole thing where you and I work to raise money to put XBOXs in patient rooms at Children’s Hospital of Pittsburgh via the Make Room for Kids program at Mario Lemieux Foundation? Let me refresh your memory. It started right here with this post. If I fail in my efforts on behalf of Children’s Hospital of Pittsburgh to win this prize, guess what? You’re not off the hook because then I’m going to hold a fundraiser to raise the $10,000 and guess who I’m coming to begging for three dollars? That’s right, YOU. And now that I’m not anonymous I can actually show up at your door with my hand out, my eyes in their best sad-puppy look, and I will weep and beg and gnash my teeth until you fork over your three hard-earned bucks. That’s a lot of rooms, a lot of beds, a lot of smiles on sick kids’ faces. Year seven. Can there possibly be sick children left who we haven’t taken care of? What about the kids with Cystic Fibrosis, a disease that will allow them to live to see 40 if they’re lucky? What about the kids suffering from Crohn’s and colitis, diseases they’ll fight their entire lives? That’s our unit this year. It’s called the GI unit and these are children who are regularly readmitted to the hospital for treatment and maintenance. Chronic. They will live with their conditions their whole lives. They know the hospital like the backs of their tiny hands, they’ve been there so much. Children of all ages are cared for in this unit, but many are teens. Kidney and liver transplant children are also housed in this unit at times. The children in this unit stay for a week at a time, or months at a time, and they have to keep coming back due to their conditions when flare-ups happen. Transplant kids can wait in this unit indefinitely until an organ becomes available. The kidney transplant children go from this unit down to dialysis and back. This unit has three sleep-study beds. Children have a very hard time sitting still as all the wires and machines are hooked up to their bodies. 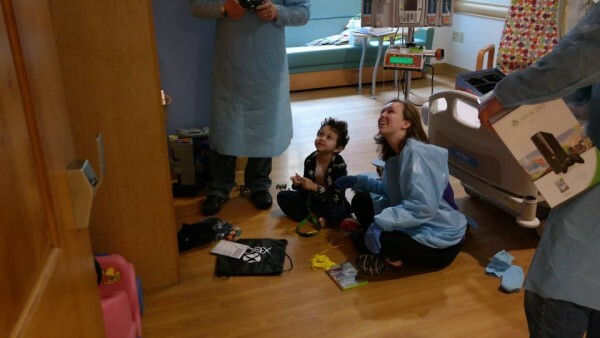 Hospital staff has let us know that having in-room gaming would go a long way to helping the children stay still and occupied while being set up for their sleep studies. 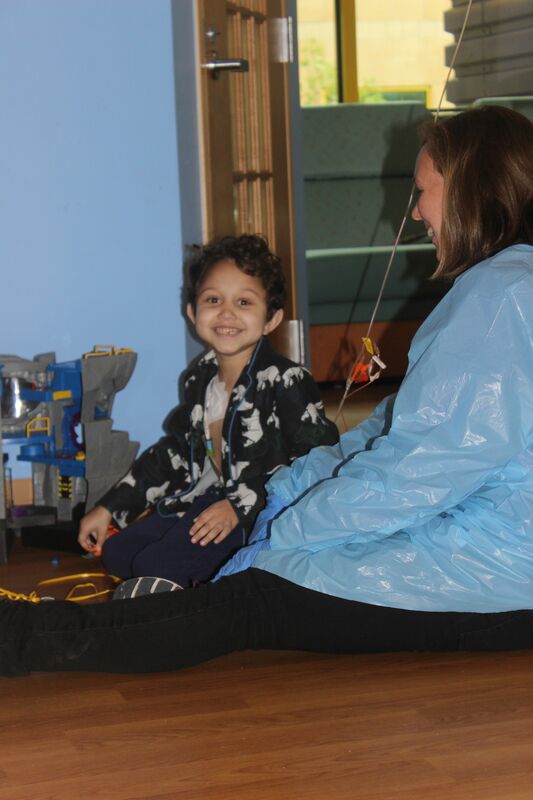 Many of the children in this unit cannot move about freely to visit the general playroom area because it is vital they are near their restrooms due to their chronic GI conditions. For this reason, they would be ecstatic with in-room gaming. Right now, this unit is sharing three XBOXs between 23 beds. Now, you’ll notice the thermometer is only set for $5,200. That’s much less than our usual goal of $10,000. Why? Regional Microsoft employees have donated a huge chunk of cash as they do every year, which was matched by the Microsoft corporation. The Holiday Park Volunteer Fire Department donated over $4,200 to Make Room for Kids via their bingo night proceeds. The ScareHouse Shake at Burgatory provides an influx of maintenance dollars. 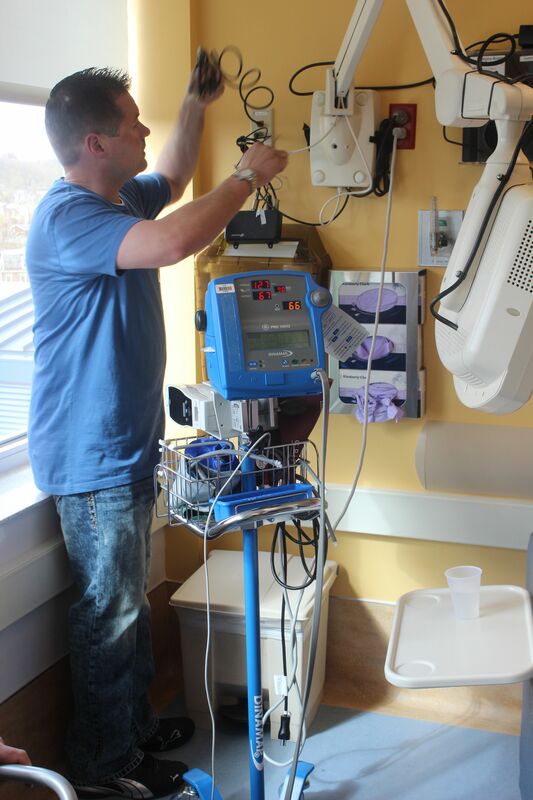 And this year, Genre’s Kids with Cancer Fund will be covering our cost of maintenance of machines already installed in the oncology unit, and will also cover the cost of outfitting a planned expansion that will add more beds. 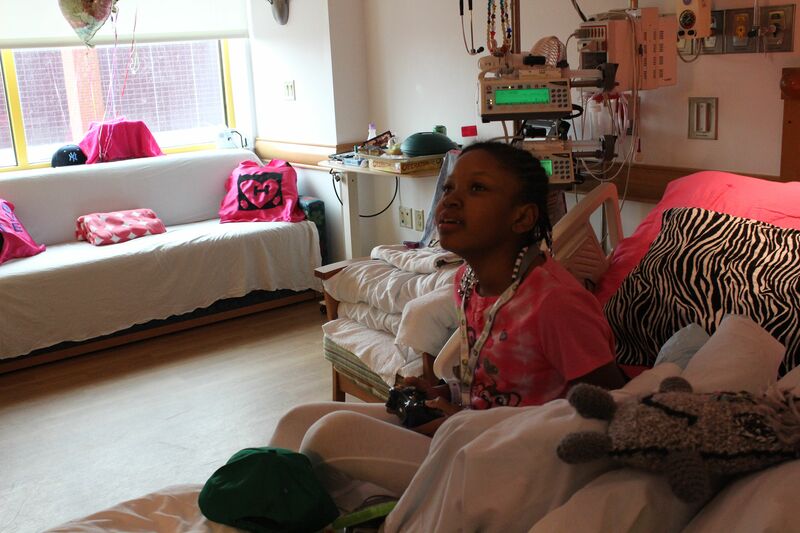 We can’t let some of the cancer kids not have in-room gaming. They must all have this diversion from their awful disease. That leaves you and I to make up the remainder needed. $5,200. Maintenance on all previous units installed. XBOXs break, controllers get lost, games get broken or lost, new games are released, new movies as well, and the children make new requests. We ask Child Life in each unit to let us know what they need, what the kids are begging for, and we get take their lists and we use your donations and we get those things for them. This year we will be doing maintenance on the pediatric unit at Allegheny General Hospital as well, as you recall we did a little side project to outfit that unit one year. 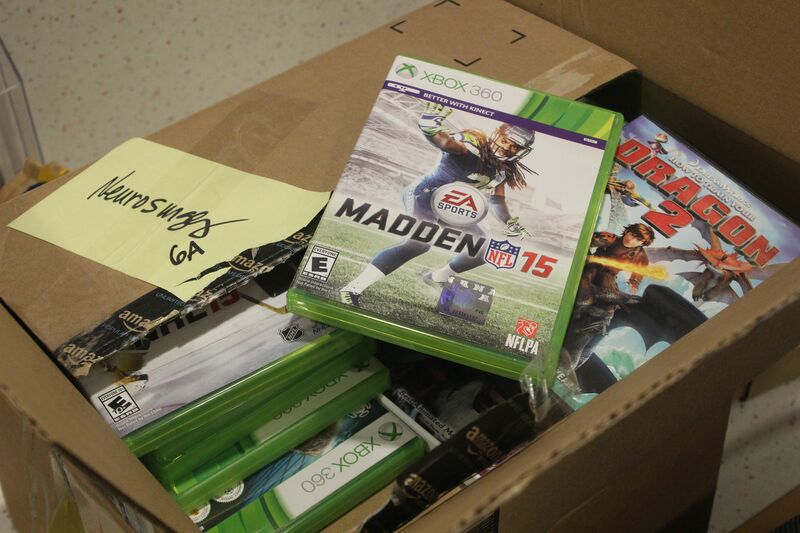 Time to give them new games and movies and to replace any broken equipment. We will be putting an XBOX One with a Kinect in the play area of the GI unit, and we would like to upgrade their current small TV to a much much larger one so that the Cystic Fibrosis kids, who need activity to stay on top of their disease, can get some FUN exercise with plenty of room to move and a big TV to do it on. 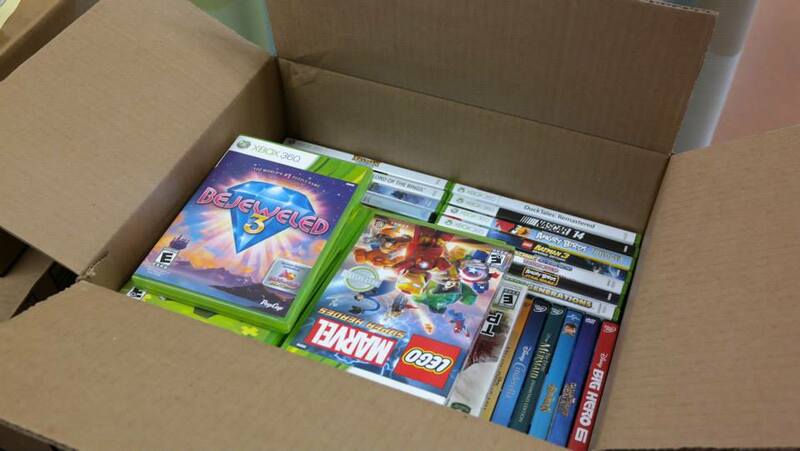 We will get them lots and lots of Kinect games for every age. We will make them thrilled to move their little bodies in defense of Cystic Fibrosis. This unit has requested lots of scrapbooking equipment, as the children like to pass the time that way as well. As for units in the past, we will be providing a Cricut machine, cameras, photo printers, and all the fun fixings needed for scrapbooking. Games and movies GALORE for the GI unit, as well as extra controllers. Portable DVD players. We will be getting half a dozen along with headphones. This is helpful for the children on the spectrum who need visuals to be up close. Virtual reality goggles. These are particularly for children on the spectrum as well. This will be the first year we’ve supplied such a product for an install and I’m excited to see what we can find out there for the kids. 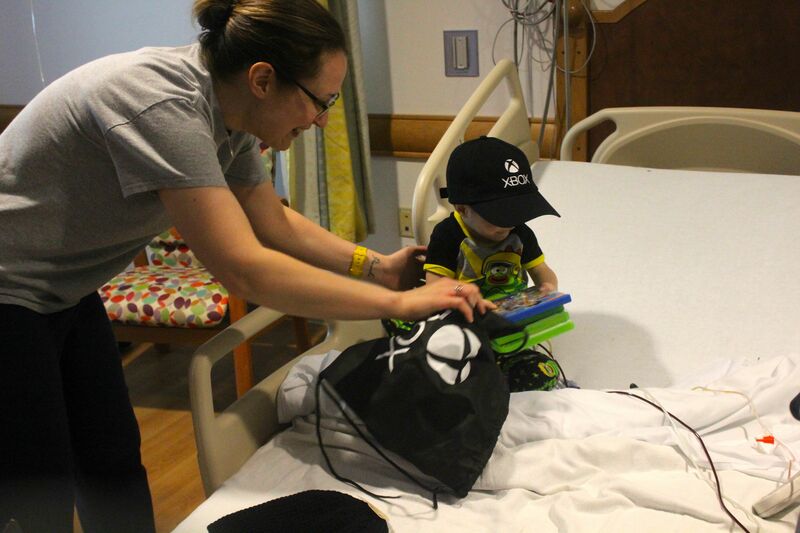 Every bed will have an XBOX installed and we will be providing Surface units for handheld fun and Skype-ing with friends and families, to keep the kids feeling connected to their outside life while hospitalized. We will be installing all new XBOXs in the cardiac step down unit. This unit was relocated after our install a few years ago, so last year we refurbished the transplant XBOXs, gave the transplant unit all new XBOXs, and put the refurbished ones in the relocated cardiac step down. 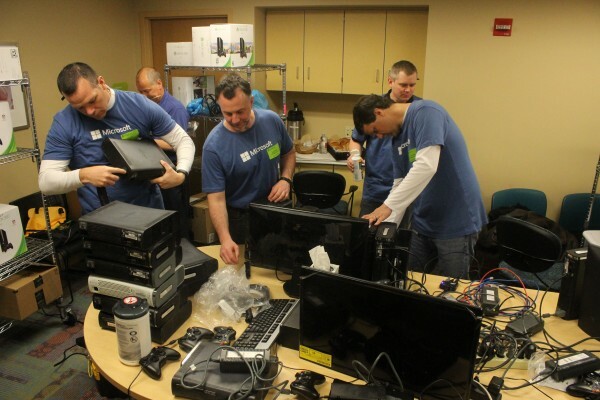 Now, we will replace every XBOX in the cardiac step down unit with a brand new machine.So basically, we are not only doing maintenance on every unit we’ve installed so far, we are installing new XBOXs in TWO ENTIRE UNITS. It’s a lot. 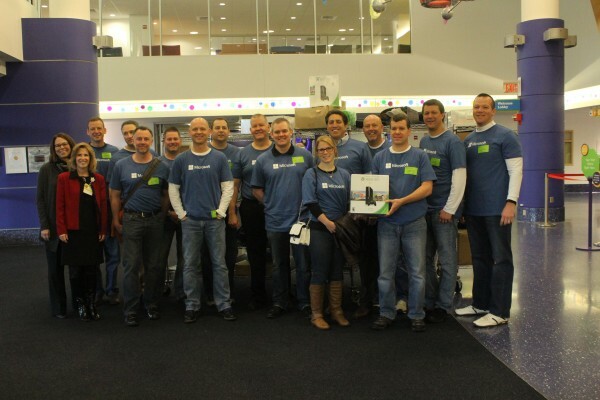 And thank goodness we have the partners we do at Microsoft, Genres Kids with Cancer Fund, Holiday Park VFD, and ScareHouse/Burgatory! And you. Could you spare a few bucks for these sick kids? These Cystic Fibrosis kids? Crohn’s, colitis, transplant, heart, dialysis? Your dollars will touch six units in Children’s Hospital this year, and one at Allegheny General Hospital. All donations go directly to the Mario Lemieux Foundation’s PayPal account. I don’t touch a penny of your money. It all goes to the sick kids. It only takes a minute of your time, if even that, to provide these wonderful children with a distraction from their very real, very scary diseases. We install on April 21. The goal is $5,200. And if I know Pittsburgh, we will get there. Just click the button under the thermometer up there, and give anything you can. Every single dollar helps. I love you all! Group hug. A truly very good day. Make Room for Kids Install 2015. 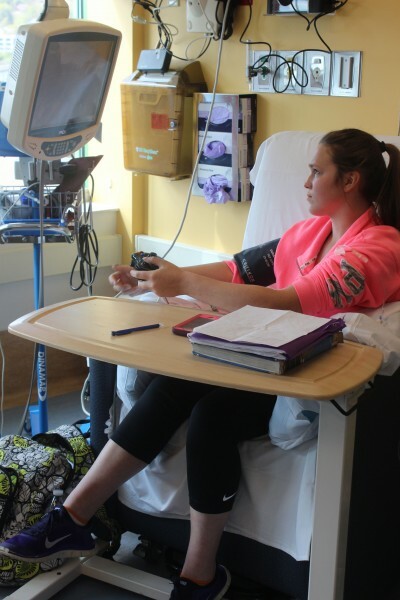 “This makes it feel like you don’t even have anything wrong with you.” — Taylor, 19, undergoing an infusion treatment at Children’s while playing on the new XBOX just installed in her station. 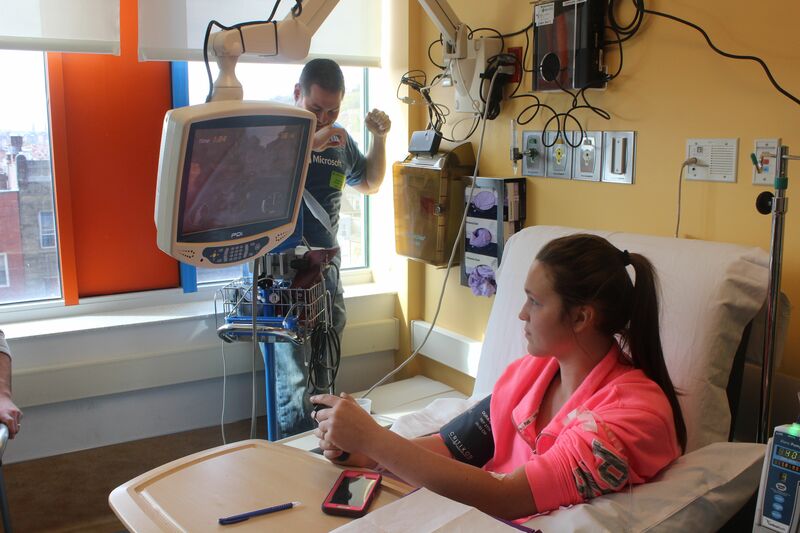 Taylor has been coming to Children’s for eight years for treatment, and each one lasts hours and hours. Before yesterday, she did not have gaming to occupy herself while sitting in a treatment chair in the Infusion/Dialysis unit. But this beautiful, soccer-playing young woman saw we had soccer games like FIFA in the box, and her eyes lit up and she got busy playing. 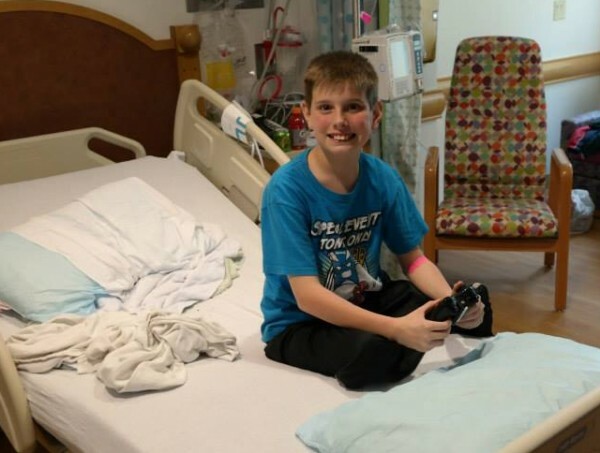 Now, Taylor’s words to KDKA, “This makes it feel like you don’t even have anything wrong with you,” is basically the entire idea behind Make Room for Kids and is the very foundation of why we continue to raise funds and operate … our belief, our strong belief that gaming takes young patients’ minds off of scary times and sometimes painful or long treatments. To hear a patient voice that exact thing, completely unprompted and unscripted, well, it was something. I’ll never forget that ever. She validated with one statement everything we’ve been doing for the past six years with Make Room for Kids. You can watch the video of Taylor speaking to KDKA’s Heather Abraham and make note of how Heather’s face completely changes when Taylor utters that sentence. It’s powerful. Now, let me walk you through the day so you can see where your donations went! Kidding. With boxes and boxes and boxes. 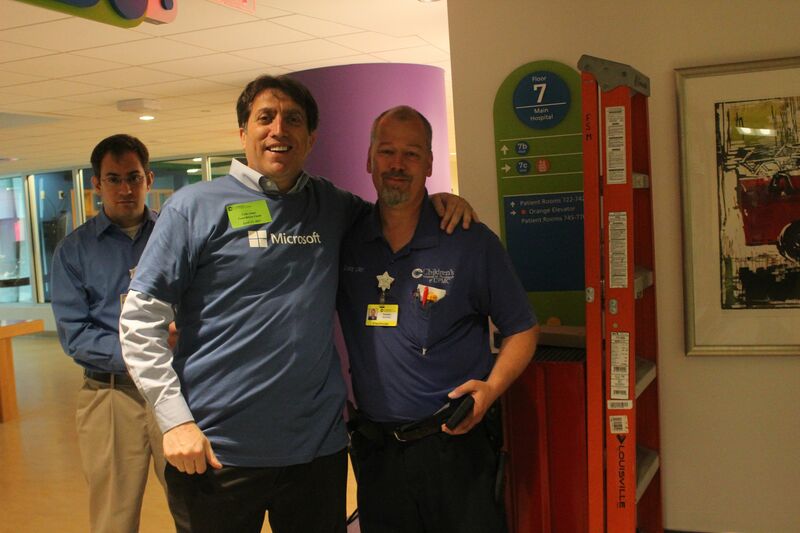 And already there and waiting are lots of blue-shirted Microsoft employees, Mario Lemieux Foundation staff and hospital staff. 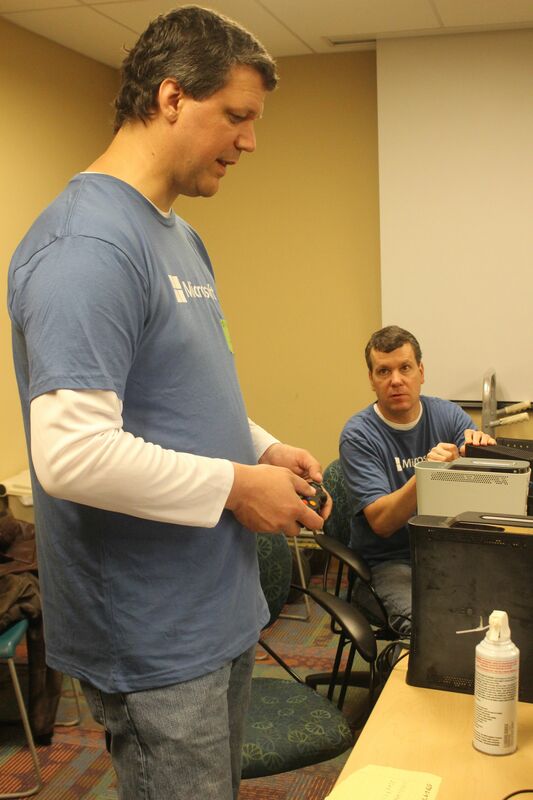 Here’s the mastermind of logistics, Microsoft’s Luke Sossi, who has basically run the “HOW THE HELL ARE WE GOING TO MAKE THIS HAPPEN” part of Make Room for Kids since the first year. Assembled, time for a quick team picture! And then Luke says, “Go to your places!” This year, the team split into two units because we had our biggest undertaking yet. Installing a new unit, maintenance on all units previously installed, and then pulling out and refurbishing/upgrading every XBOX in the transplant unit. 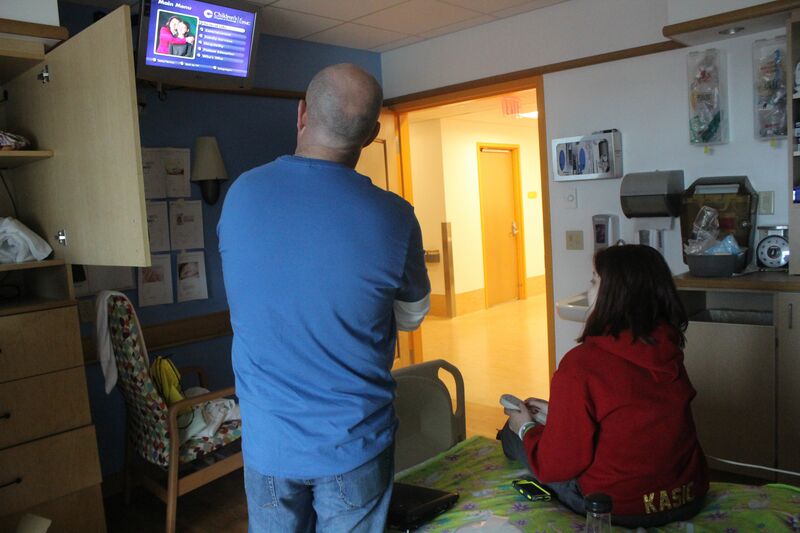 I head with Luke and crew to the fourth floor where the Infusion/Dialysis unit is and there they install the first XBOX in Taylor’s station. She mentions she plays Playstation with her brother, so she can pick up gaming pretty quickly. I grab the box of games and movies we designated for that unit. She saw soccer, eyes lit up, and that was that. Across from Taylor, we have 15-year-old Haley. Who wants to do boring homework now that the XBOX is there? Not Haley. She was playing some sort of racing game, I think. She was there with her “favorite uncle” who brought her in and sat with her during her treatment. Big Penguins fans, her family. 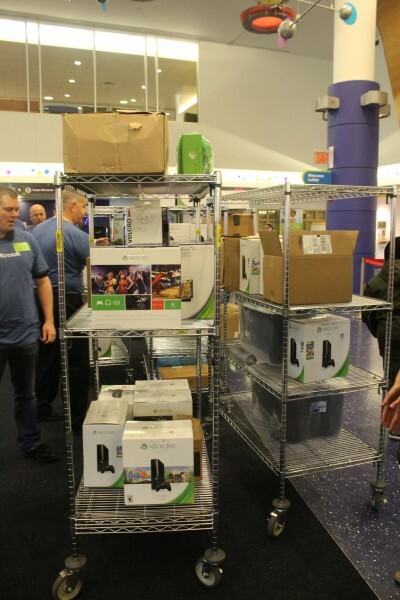 After installing all the XBOXs in that unit and leaving them with their games, controllers, and more, we headed up to the seventh floor where the staging area had been set up, and here’s how that room looked. What is all this madness, you ask? This is the Microsoft team cleaning, refurbishing, and upgrading every original XBOX that was installed in the Transplant Unit five years ago, our first year of Make Room for Kids. 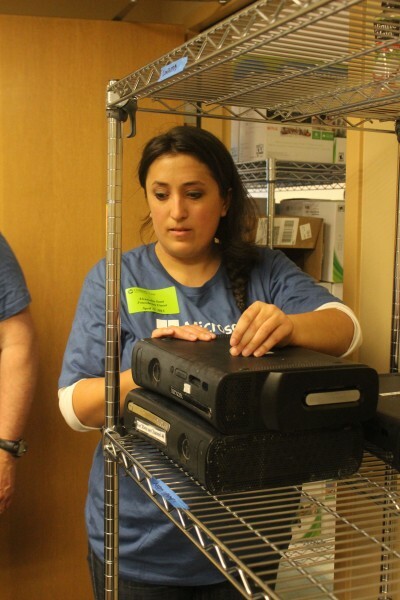 A few XBOXs went on to replace broken or missing units and the rest were put in storage at the hospital so Child Life staff has backups should any unit break or need serviced. No kids in our units are going without gaming for long now that we have this backup refurbished stash. They then installed brand new XBOXs in every transplant room, therefore, we did two COMPLETE units yesterday. 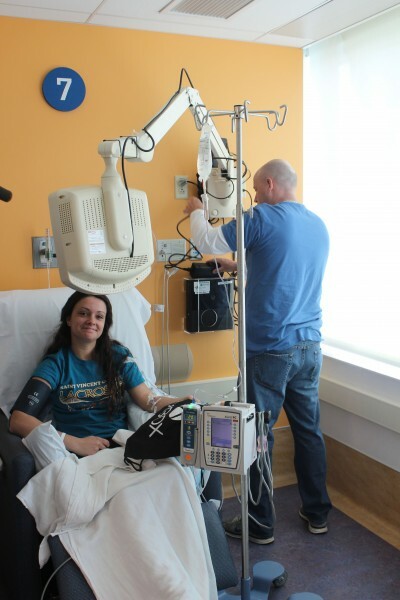 Infusion/Dialysis and Transfusion. 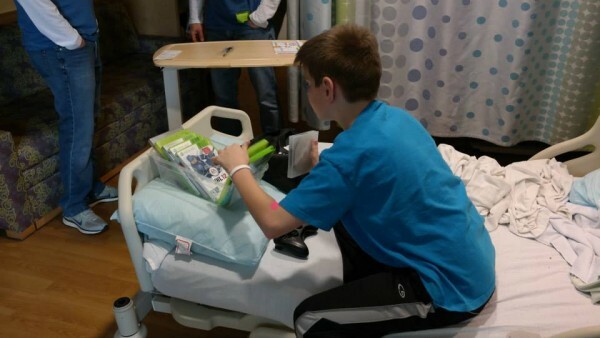 We also put XBOXs in the Cardiac Step Down unit which was relocated last year after our heart unit install. Drew and Karen from the Mario Lemieux Foundation. Keeping an eye on that organized chaos. 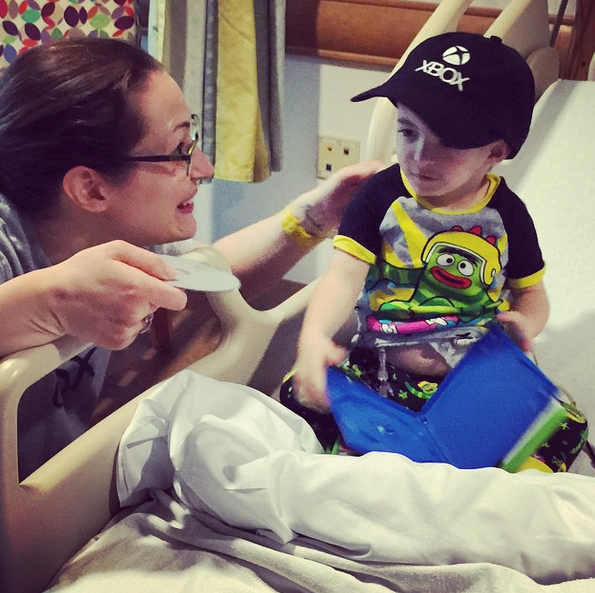 In the transplant unit, we met Case, who isn’t quite two yet. While his XBOX was being replaced, Case wasn’t much feeling up to having visitors and certainly not having a camera on him. Until I asked him if he maybe wanted a game, and he was a changed child IMMEDIATELY. I ran to grab a few games he might like, thinking to give him one, and he grabbed all three in quick succession, squealing as he looked at each new title. And then I said, “I don’t suppose you like Paw Patrol,” because he’s at the exact age for that. And he nearly exploded. Nancy Angus, executive director of the Mario Lemieux Foundation ran to get the DVD from the box and he was basically on Cloud 9. Further down the hall, this sweet girl who asked for a racing game and was thrilled we had a new Sonic the Hedgehog game in the box. Here the Microsoft employee is showing her how to switch the TV over to the XBOX. 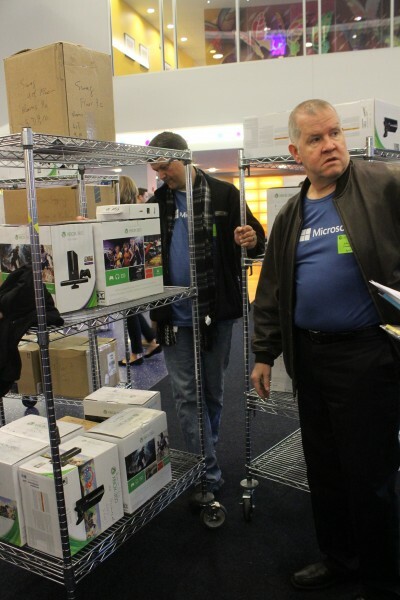 A little further down the hall, this adorable kiddo, watching the Microsoft employees install the new XBOX. 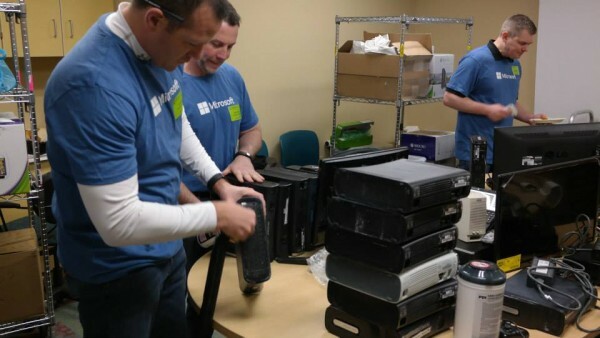 Back in the staging room, they’re still working furiously to upgrade so many old XBOXs, while Nancy Angus and I work on distributing the new games and movies to all the other units we’ve already outfitted. 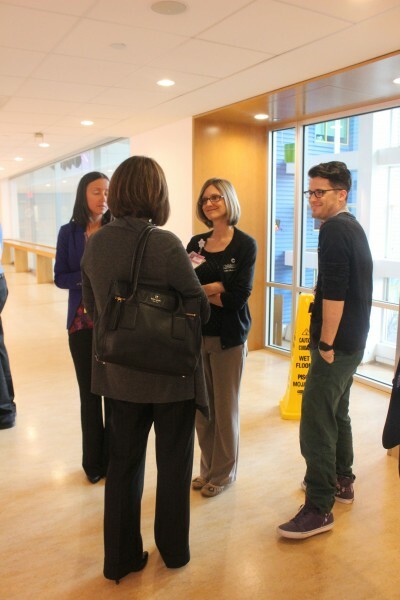 Hospital staff chatting with Nancy Angus as we get closer to completion. 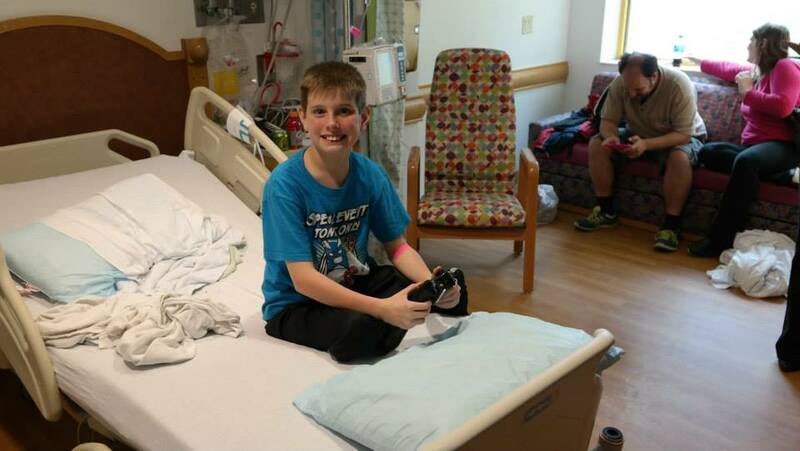 Back in the patient rooms, another happy kid, Noah! Here’s Luke with hospital employee Frank. Frank works for months and months, often coming in extra early, to prepare rooms for installations. He’s the man. The man. Finally, all XBOXs are installed, old are upgraded and refurbished, games, movies, cameras, music CDs and other requested goodies are distributed, all units received an extra stash of XBOX controllers, the Infusion unit received four Surface tablets, and we are done and ready to let the kids play … and forget for a bit. It was a fantastic day that saw us reaching many areas of the building and that meant getting to see many many smiles. Here’s the Lemieux Foundation’s photo gallery. And here’s a hug from me to you for donating. If you haven’t received an email from me yet with the subject line of WINNER WINNER CHICKEN DINNER YOU LUCKY DUCK, then sadly, no, you did not win any of the great Make Room for Kids prizes. You’ll notice we sit $500 away from the goal, but not really. You see, the kiddos in the cancer, transplant, infusion, NICU, adolescent medicine, etc. sent us lists of new games and movies they wanted. I posted all of them to an Amazon wish list, let my Twitter and Facebook followers know, and in 18 hours, $2,000 worth of titles were purchased and on their way to Mario Lemieux Foundation offices. Before I ever had a chance to mention the wish list here. So, actually, we are at $11,500 raised from my readers, therefore, I gave the prizes away. However, if it is just driving you bonkers that the ticker isn’t at the top, well, I’m not going to throw myself on your keyboard to stop you from donating out of the goodness of your big giant Burgh heart. Funds will be welcomed and they will be used to make sick kids’ hospital stays a little brighter. — The winner of the Pirates Home Opener tickets was a reader named Alan O. When I emailed him the fantastic CHICKEN DINNER news, he responded that unfortunately, he’s out of the state until May. He wondered if we could find someone deserving to use the tickets, so I reached out to Genre’s Kids With Cancer Fund, and the organization is identifying a local childhood cancer family that would enjoy attending the game. Perfect. 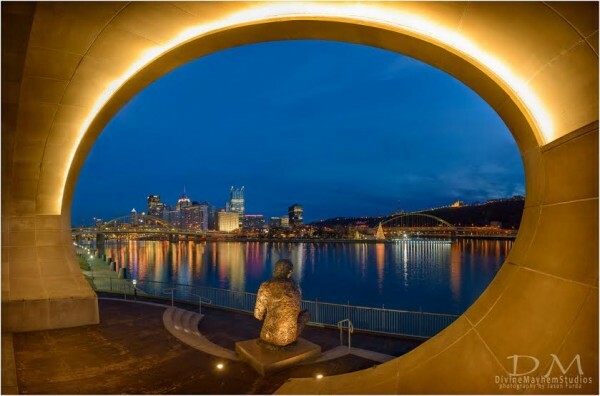 — Donald M. won the amazing Dave DiCello metal print. Dave is mailing or has already mailed him his prize directly. — MaryAnne H. won the Pens Charity Gift Bag. I’m mailing it tomorrow. — Randy G. won the autographed Sid Crosby jersey. I mailed it today and sent him the tracking number. — Jessica M. won a previously un-featured prize, this fantastic print from local photographer Jason Furda who reached out to offer the print up for a giveaway. Man. Love that. Lucky girl. Check his work out here. Really stunning stuff. Go to his site and find “Contemplating the Rubber Duck,” another Mister Rogers statue print, and feel the feels. Jason is mailing or has already mailed the print directly. — Katie S. won the prize pack from the Penguins with the autographed Sid print, the autographed Hornqvist jersey, the Letang stick, and the Pens/Flyers tickets. I met Katie and personally handed her prize to her, because how do you even mail a hockey stick, Internet? — Rose F. and Lesley P. won the Pirates gift bags full of bobbleheads and other goodies. I’m also mailing those tomorrow. — And finally! Wild Bill Wichrowski from Deadliest Catch sent me a great box full of good stuff from his store in Florida that just arrived. I’ll pick a winner for that tonight. Thank you to all who donated here or via the wish list. It honestly moved me to read down the list of hundreds of names, some familiar, some not, and see such outpouring of generosity for our city’s sick children who will relish this extra distraction from pain and treatment. Mario Lemieux Foundation, Microsoft and I will install this month (well, they install while I watch and take pictures and chat with little kiddos) and I will be sure to share all the fantastic details with you. 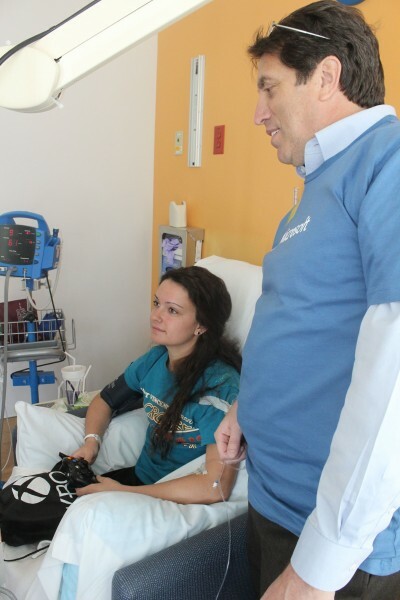 A doctor utters the word dialysis to an adult, and the trepidation sets in. Hours upon hours sitting in a chair getting treatment for a life-threatening illness. Four hours or more at a time. Up to three days a week. Oh, you have a life you need to live? That’s too bad. This is your new life for a while. Say the word dialysis to a child, and they don’t know. But soon, they’ll know, just like cancer kids learn to say the name of their 24-letter cancer type. Sit still in this chair for HOURS ON END. With a NEEDLE IN YOUR BODY. How would you like to tell your little child they have to experience that? For weeks, months, or maybe years? I can’t fathom it. I had trouble informing my son there was a chance he would need a scoliosis back brace (he didn’t). I had trouble informing my little girl she might need to wear hearing aids one day (probably not). Telling them they would undergo dialysis treatments? Nope. Then actually watching them go THROUGH IT? Nope nope nope. Well, Burghers, this year with Make Room for Kids, we are going to show the dialysis patients at Children’s Hospital of Pittsburgh some love. And like the billboard on Route 30 says, we are going to use love to turn them from patients, back into children. 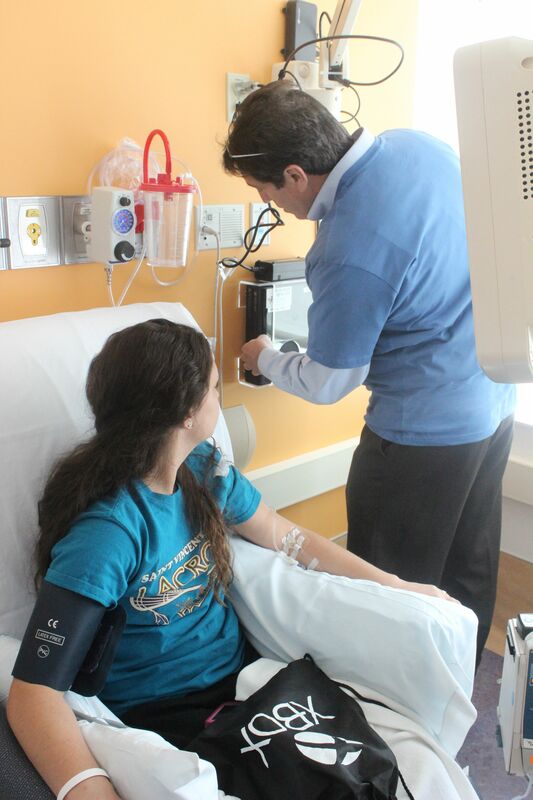 We are going to give them lots of entertainment options to take their minds off of treatment while they are sitting in the dialysis chairs at CHP. We’re going to give them gaming, movies, and more. They will not be bored or focusing on their treatment. They will be distracted, smiling, forgetting. We’re also going to be taking care of the nearby infusion unit, where, again, children must remain still while undergoing HOURS-LONG TREATMENTS. They need tablets, games, and more. And we aren’t going to stop there. We are going to do some needed maintenance on other units we’ve already outfitted. Replace some broken XBOXs. Give them new games and controllers. 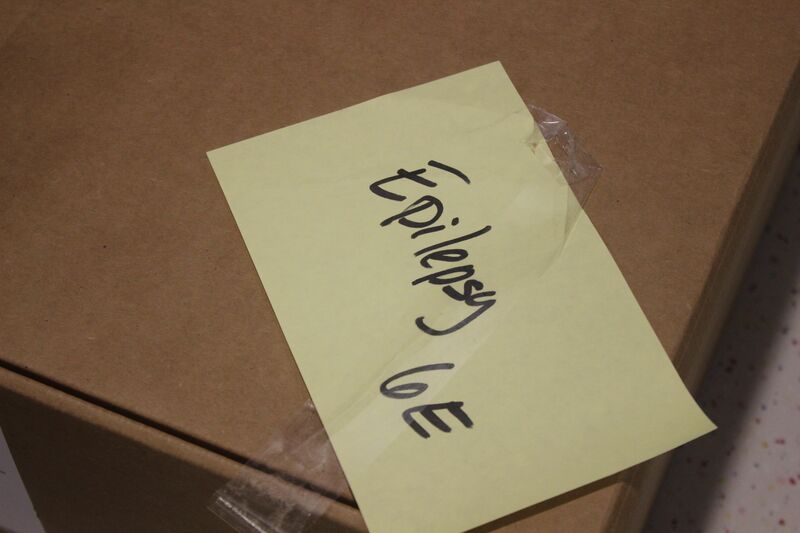 We’ll be paying special attention to the epilepsy unit and we will be outfitting four additional patient rooms in the cancer unit. Our goal is also to take care of those we’ve already taken care of. Keep their games and movies fresh. And I need your help. 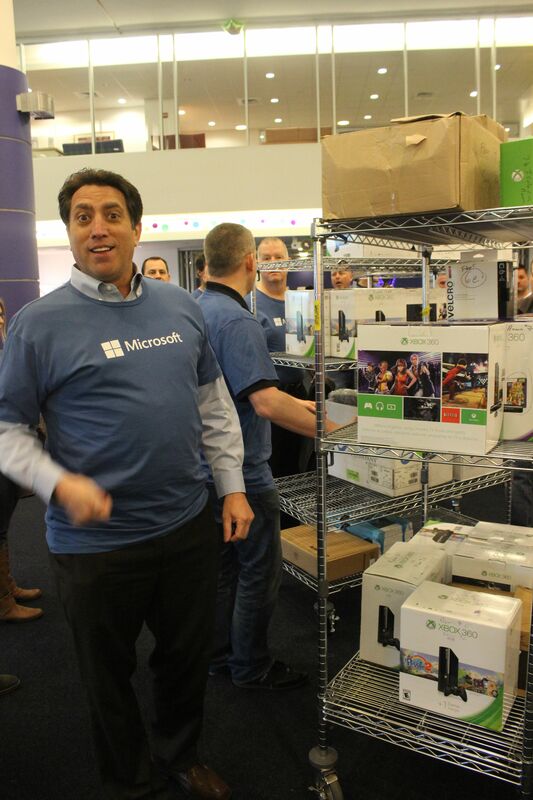 Microsoft’s regional employees, along with a corporate match, are doing their part to donate a good chunk of funds, but you and I? We have to take care of the other chunk. A $10,000 chunk. Every penny will go directly to the Mario Lemieux Foundation and we’ll use it to buy what we need for our April installation at the hospital. But I’m going to reward you. You don’t need to see a dorky picture of me; you’ve seen me at my worst. — The Penguins Charity Gift bag I bought WITH MY OWN COLD HARD CASH. It should be arriving any day and I’ll let you know all the good stuff I get in it. It will all be yours. — I’m begging the Pirates for a gift bag as well. I will have news on that shortly. — The grand prize. One lucky winner will get TWO TICKETS TO THE PIRATES HOME OPENER WUT. I’m serious. The Home Opener. SQUEEEEEE. Do you have to donate to win? No. Because that would run afoul of lottery laws. You can simply comment on this post to win, but if you have one single extra dollar to donate in love to these sick children, please use the donate button up there on the left under the thermometer. All donors to the drive are automatically entered into the drawing for the three prizes, and their email addresses will be combined with those who simply comment below to win, into one big prize-eligible pool. I will award the prizes the MOMENT we hit $10,000. Please help me help these kids and come April, you’re going to be so happy you did.